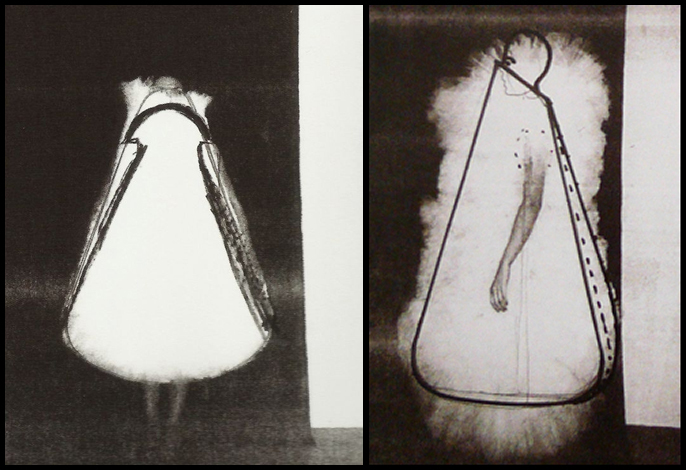 Hussein Chalayan, dress and sketches for collection SS 2000. 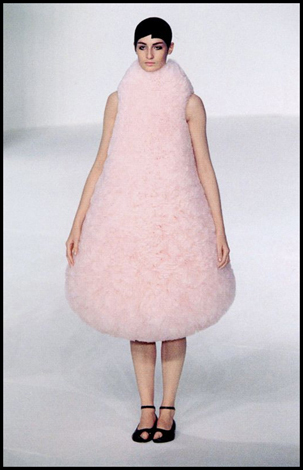 To embody the action of erosion, Chalayan shaved a bale of shapeless pink tulle giving it the contour of a dress. In the same way that the formation of mountains occurs through natural erosion, Chalayan formed his own monuments through the gradual cutting of the fabric.